While you may be hard-pressed to find someone out there who’s never heard of Instagram (everyone and their grandma has an account! ), diving into the world of Instagram marketing can be a little more daunting than simply opening an app and posting photos. Instagram has 1 billion active monthly users, with 500 million of those users scrolling the app daily, and 38% of users check Instagram more than once a day. Now more than ever, people are using Instagram to search for businesses or services and interact with their favourite brands. 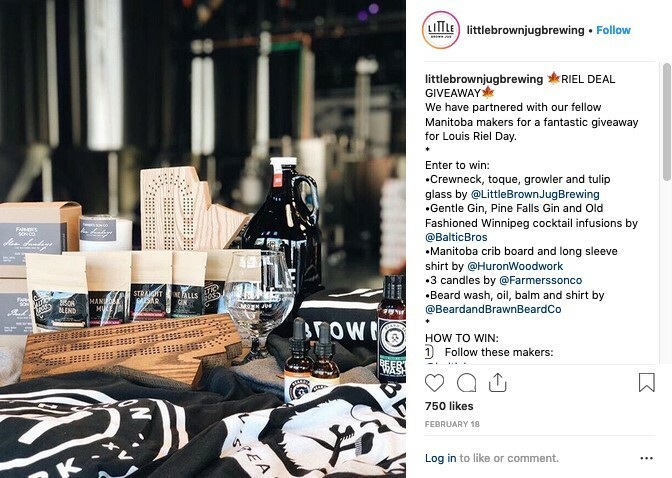 Businesses of all sizes - from home-grown side hustles to giant corporations - are using Instagram to connect with their customers and clients. So, how can you best leverage the fun of sharing photos and stories on Instagram to increase your business’s sales or customer base? Between knowing the best kind of image to post, what to write in your caption, whether or not to use hashtags, and even knowing what time of day is best to post, there are a lot of questions left for those who may not be experts in all things Instagram. Following are 10 tips for beginners to make the most of their Instagram marketing efforts. 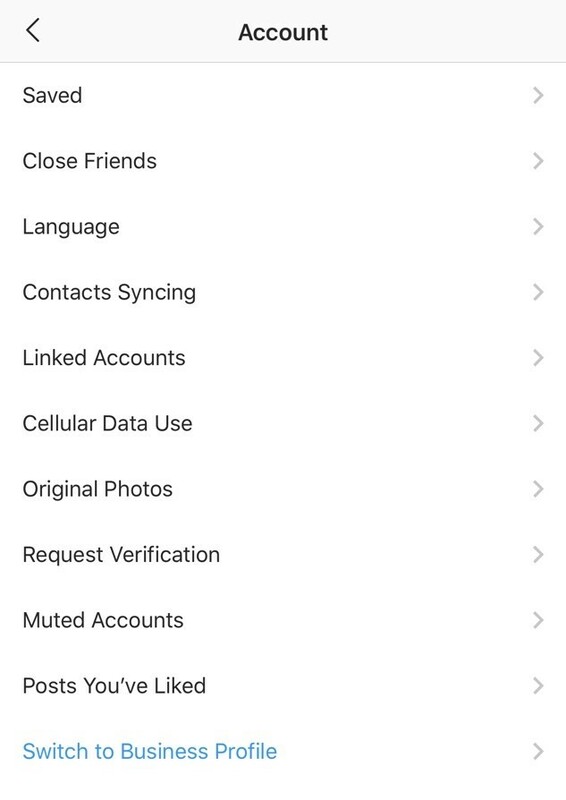 When you sign up with Instagram, you have the option of creating a personal account or a business account. A business account is a helpful way to track all of the marketing strategies you implement on Instagram in order to understand what works for you and what doesn’t. Instagram will provide business account users with insights on followers and how well each post does, the ability to create promotions (or paid ads), the ability to add contact buttons to your profile so customers can easily email or call you from your profile, and the ability to designate an industry or category to your business. Creating or switching to a business account is free and can be done in the click of a button in your account settings. You want people to come to recognize your posts and your feed without even seeing your handle or account name. When most people look up a business on Instagram before they open their browser to head to a website, you want to ensure that what they’re finding on Instagram not only speaks to your business’s overall aesthetic and values but is consistent with what potential clients can expect from you and your products or services. Your feed should be polished, consistent, and themed. This can come down to the colour palette you use in the images that you post, the filters that you use on each post, or the composition of each image that you post. Not only does this make your account recognizable but it makes it easier for you to determine what to post. 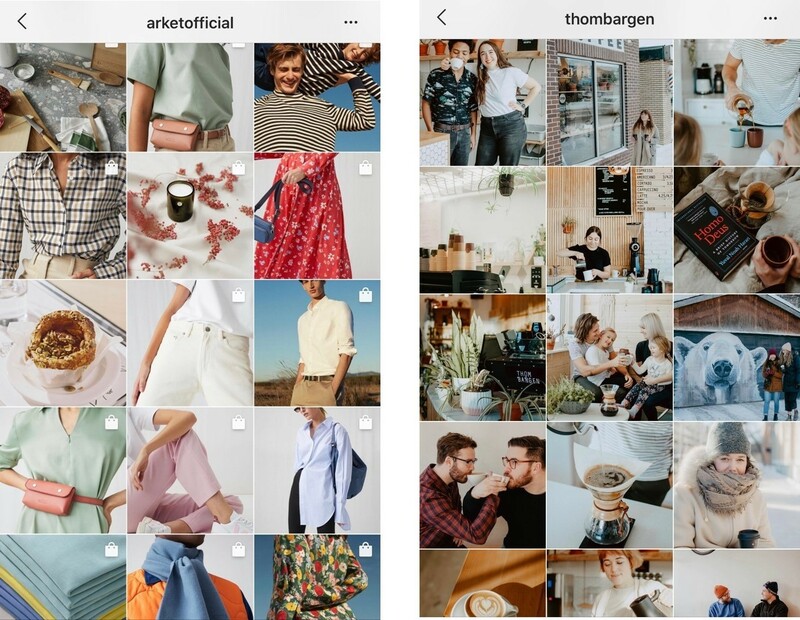 Arket, a modern clothing and accessory company, is a good example of a business that’s created a recognizable theme - their feed features close shots of their products, often against a white backdrop, with a consistent colour palette. Thom Bargen, a coffee shop, also has a consistently themed feed, with shots of both their products and their customers and staff, creating not only a coherent colour palette but a playful sense of community. Instagram allows you 150 characters to write a biography that describes your account and what you have to offer - make use of it! Think of this as the Instagram version of your elevator pitch - you have a few seconds to explain to people new to your account what they can expect from you. A concise and engaging bio will give newcomers a good idea of not only what you offer your customers but the tone of your feed (and business). You can add buttons for users to contact you via email or phone, directions to your location, hashtags, a business category, and a link. The link itself can be used to direct people to your website, or you can make use of the ability to create a personalized link that directs users to a landing page where you can add additional links to your bestsellers, your latest blog post, your other social media channels, or any other relevant links. There are third-party services that can do this for you, such as Linktree, but if you’re web-savvy enough you can create your own to avoid directing traffic to a third-party website. The University of Manitoba and Vice Magazine are good examples of accounts that clearly explain the purpose and tone of their account in their bio, using a hashtag, link, and category. While the fear of coming across as spammy or annoying by posting too much content is valid, there is perhaps a bit too much worry about over posting. 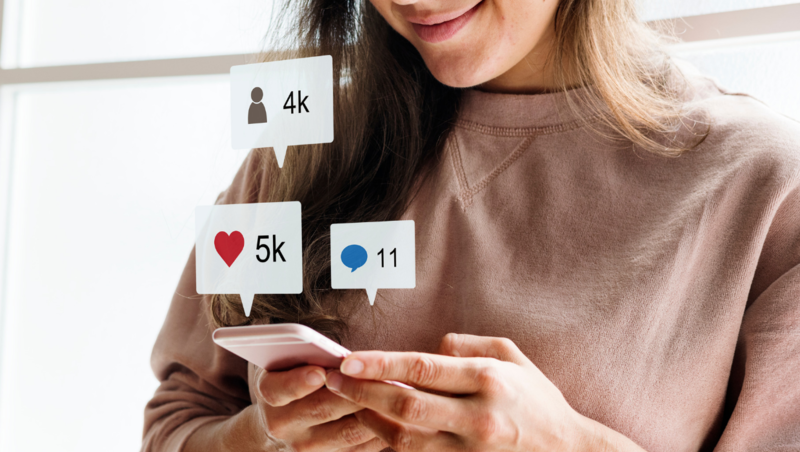 Most Instagram users follow hundreds (if not thousands) of accounts and Instagram themselves determined that, due to the way that their algorithm works, users will miss up to 70 per cent of the posts in their feed. So, posting a few times a day isn’t going to hurt you, as users may not even come across all of your posts to begin with. Article, an online-only modern furniture company, posts two or three times each day, for example. However, they stick to a clear theme of beautifully shot images in a consistent colour palette, many of which are user-generated, so their feed remains engaging and interesting. Posting multiple times each day ensures that customers stay up to date and keeps your organization in the forefront of their minds. However, you have to also be realistic. So if you aren’t able to keep up with multiple posts per day, stick to a rate that you can handle. Posting sporadically or inconsistently will hurt your rate of engagement. Knowing what to post can be more difficult than it seems, at first. 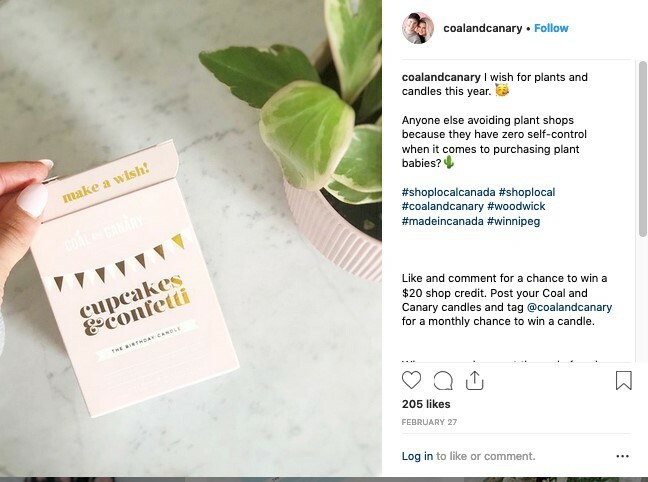 If your business sells products, it might seem like a no-brainer to post images of those products ¾ and that is important, but you also want to ensure you’re actually facilitating engagement with your clients and customers. Creating posts that are thought-provoking or humorous, or those that invite users to share comments or suggestions will help to build a relationship with your following. Don’t be afraid of lengthy captions, either - if you have something meaningful and thoughtful to share with your followers, do it! Illustrating your personality, openness, and authenticity will resonate with users and is often appreciated over a constant feed of sales pitches. Ending your captions with some kind of call to action - be it an invitation to click the link in your bio for more information or encouraging followers to add their own comments or tag their friends - can help start a dialogue with your customer base. Cultivate an original voice in your captions, incorporate your employees or clients in posts, and build engagement that drives users to your link or website. Not sure how you’re going to come up with two or three engaging posts each day? Are you a one-person show that doesn’t have the time or energy to take enough photos and videos to keep up with a healthy posting schedule? This is where user-generated content saves the day and provides an authentic experience for your followers. Asking followers to tag you in posts that feature your product or services, review your business, or use a hashtag you’ve generated is a great way to find and share additional content that not only saves you from the task of coming up with it yourself, but organically interact with your customer base. Below is an example from the modern furniture and accessory company, EQ3. 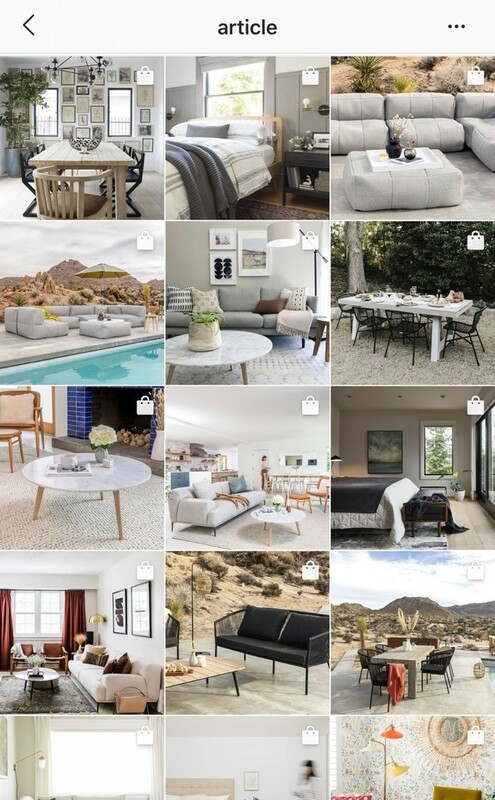 They’ve created their own hashtag, #designwithEQ3, and asked users to submit photos of EQ3 products in their homes in order to feature them in real-life situations and increase engagement with their followers. 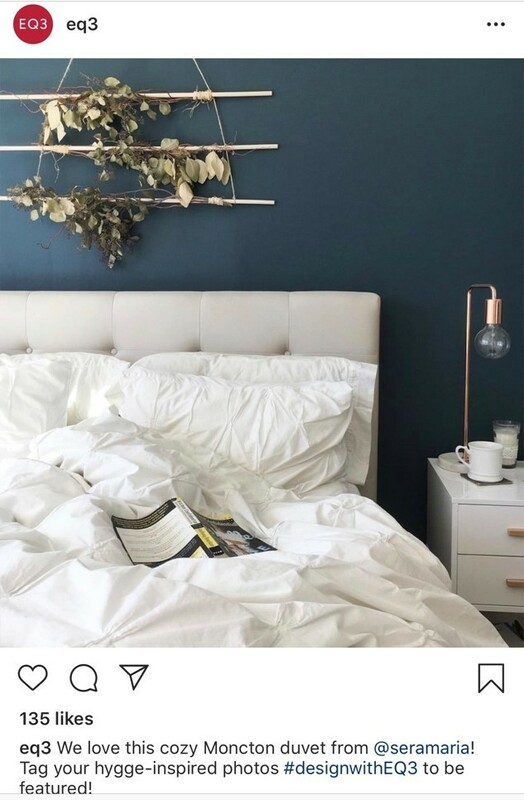 Not only are users then excited at the prospect of being highlighted on EQ3’s feed, but EQ3 themselves receive photos of their products, in this case beautifully shot, at home with their customers. More than just posting images, Instagram actually allows for a variety of content to be shared. Currently, Instagram Stories in particular are becoming more and more popular for their ability to allow you to share multiple videos and photos to both engage with customers and personalize your brand or organization instantly. Stories allow for you to upload images or videos up to 15 seconds long to your account, which are featured in a slideshow format and stay active for 24 hours, after which they disappear. You can add geotags, hashtags, account handles, effects and filters, and music to your Stories, creating a less formal form of content for your followers or a place to post content that may not be consistent with the theme of your feed. You can also add “stickers” to your Stories as well that allow you to run polls or ask questions, further engaging with your followers. You’re also able to save these Stories in a series of Highlights that live permanently on your account profile under your bio. With this, you can create a themed set of Highlights to showcase product lines, behind-the-scenes footage, Q&As, live footage, and more. Nylon Magazine, for example, uses Highlights to organize event coverage (New York Fashion Week), Horoscopes, and a short trailer featuring each month’s cover model. Connected to the last point, while video is more and more popular and a valuable medium to use on Instagram, most people tend to watch videos with the sound turned off. So making use of subtitles or captions is incredibly important in ensuring that users actually understand the content you’re sharing! While this does require a little bit of technical know-how to do yourself, there are third-party apps that will allow you to caption your videos before you upload them. 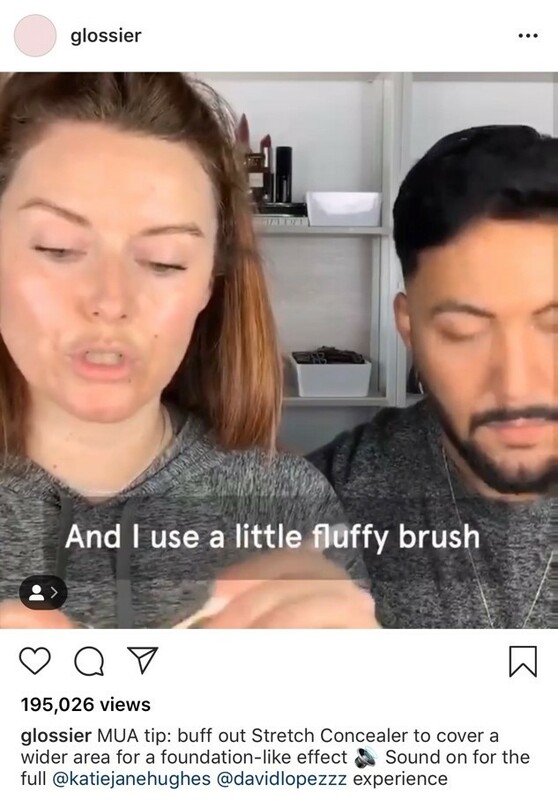 Below is an example from makeup company Glossier that uses captions in their videos - this one a makeup tutorial - to increase engagement with their followers. If you want to get people engaging with your brand, having a conversation with you on your posts, or commenting on your content, one of the best ways to help facilitate this is to do just that with other accounts! Seek out brands that are similar to yours, customers or potential clients, or people who are simply interested in the same things that you offer or value and comment on their posts and engage with their content. A little bit goes a long way, and people will recognize when you’re making an effort to start a conversation and often follow suit. Reacting to what people are saying about your business or brand and building relationships with your followers - or those who aren’t yet followers - is an organic way of generating engagement. So, if you want to start a conversation with potential clients on Instagram, an easy way to get the ball rolling is to, well, start that conversation. Instagram is a great method of increasing brand awareness and your customer base but leaving all of those marketing efforts solely in the realm of that one social media app is a missed opportunity. Spread the love and direct your following to your other social media accounts, website, and newsletter. Share stories on Instagram and Facebook simultaneously, tweet links to your Instagram contents, and share your social media links on your website and in your newsletter. Ideally, all of your efforts should work together to complement and build on each other. An excellent example of a multi-platform approach is a campaign undertaken by the clothing company alice + olivia. In an effort to increase awareness of their 2019 spring collection in the lead-up to New York Fashion Week, they ran a four-phase campaign that targeted varying segments of their audience through Instagram feed posts, Instagram Stories posts, and Facebook feed posts. Between September 9 and October 1, 2018, alice + olivia posted video ads with clear calls to action, which directed followers to a landing page on their website that featured previews of their new spring collection. After the three-week campaign, they received over twice as many new website visitors, five times as many conversations on their posts, over half a million video views, and an increase in revenue of over 70%. While Instagram can seem daunting to first-time users, there are so many exciting features that can be leveraged to benefit your business or brand and boost not only your following but your sales, leads, and website traffic. Remember, Instagram is an app that the everyday person uses for fun, so keeping your posts and stories engaging, exciting, and thought-provoking will resonate with users. Make use of Instagram’s own analytics with a business account, create a profile that maximizes the space and options available and bears a consistent theme, create posts that make use of subtitled video, polls, contests, and user-generated content, encourage dialogue by commenting and engaging with other brands and users, and be sure not to forget all of your other social media channels when you post. Most importantly, have fun and illustrate for your users what makes you stand out.